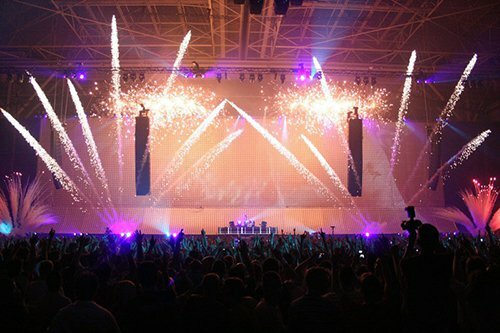 Next FX was established in 2001 as a manufacturer of theatrical, pyrotechnic, special effects and technical pyrotechnics. Today, Next FX is a leading pyrotechnic manufacturer serving customers throughout the world. The Next FX facility is located near the town of Columbus in south central Montana. Here, the principals of Next FX put their 80 plus years of combined manufacturing experience to work developing and producing dependable pyrotechnic devices that have become a standard for the live-entertainment industry. Additionally, Next FX provides pyrotechnic devices and materials for military and law enforcement simulation and training as well as other technical applications. Next FX is highly regarded as an exceptional manufacturer of pyrotechnic products and devices and close proximity pyrotechnics. Our customers rely on the quality and repeatability of our products. Through our many years of experience, we know that it takes the right combination of climate, quality chemicals and raw materials, mechanical equipment, stringent testing procedures at all phases of production and experienced, dedicated personnel to produce consistent, high-quality products. We strive to be a standard of quality the entertainment industry uses to judge pyrotechnic products and services. Our goal at Next FX is to be adaptive and responsive while creating and delivering safe and reliable products on time. To keep up with the ever-changing demands of the industry and our quest to modernize production processes, Next FX built and moved into a new, 240-acre manufacturing facility in February, 2015. In addition, this new, technically advanced manufacturing facility is continually expanding and adapting allowing us the ability to prioritize on safety, quality, efficiency and respect for environmental factors which affords us the means to develop safe, reliable and on-time delivery services. The Next FX team’s expertise in pyrotechnic design enables us to offer solutions aimed at meeting the needs of our clients. Our highly motivated and results-driven team is guided by passion and commitment to developing devices that meet the continually changing needs of our industry. The dedicated personnel at Next FX are continuously striving to raise the bar on our pyrotechnic products, close proximity special effects and services. Next FX is devoted to creating strong working relationships with our clients. We understand the challenges and last-minute nature of the entertainment industry and will do whatever humanly possible to meet the most stringent of requests. We have the experience in design and pyrotechnic choices to advise on the best pyrotechnics and close proximity products for the customers’ application and needs. The products on our standard product list are only a sampling of the available options. Next FX has a vast array of specialty items not listed in our catalog. We are also eager to design devices that meet your specific requirements. Next FX utilizes an array of specialized technical equipment to manufacture its products. Our technical capabilities are continually evolving as we regularly develop and add new and innovative production equipment. We spare no expense to ensure the reliability and quality of our product. Our laboratory is second to none in our industry utilizing a multitude of state-of-the-art testing and analytical equipment. In addition, our indoor testing facility allows us to scrutinize all aspects of product performance in a controlled environment. High quality products require high quality raw materials. The category of products we manufacturer does not afford us the opportunity to tolerate low quality raw materials. In order to meet our stringent material specifications, we source the finest materials from around the world. Product testing is an extremely routine and important part of our manufacturing process. All raw materials are tested in our pyrotechnics lab before production begins. In addition, all devices must first meet rigid performance specifications in the pre-production testing phase. Our production personnel are highly trained and very experienced at immediately identifying imperfections or variants that may negatively affect or alter the performance of a finished device and instituting the necessary corrective action prior to production. Next FX has a dedicated quality assurance team that continually performance tests production devices. Next FX is CE certified; therefore, all products are performance tested to the conformity assurance standards of the European Community. Being located in a high desert climate where the humidity is normally quite low, we are afforded the opportunity to be able to work with many chemicals and mixtures that are sensitive to moisture. Manufacturing in an ideal climate also means that the integrity of our chemicals is not compromised throughout the production process. Next FX is very proficient and timely in shipping hazardous materials around the world in the most cost-efficient manner. Chances are where ever you are going, we have shipped there before and have global contacts that can assist with your production requirements. 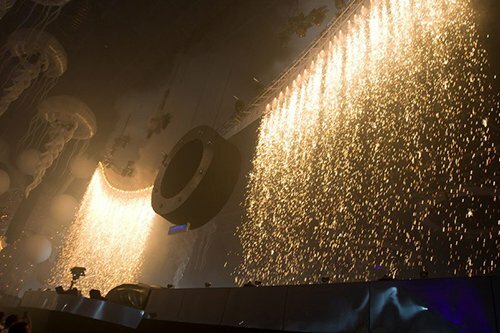 Our years of experience and long-term relationships with freight forwarders and pyrotechnic companies around the world, allows us to provide seamless, on-time delivery of pyrotechnics almost anywhere.